It may not be stealthy or have a jet engine, but it didn’t need that to get the job done. As the saying goes, if you want to send a picture home to your sweetheart, you take it with the Mustang. If you want to make it home to her, you fly the Jug. 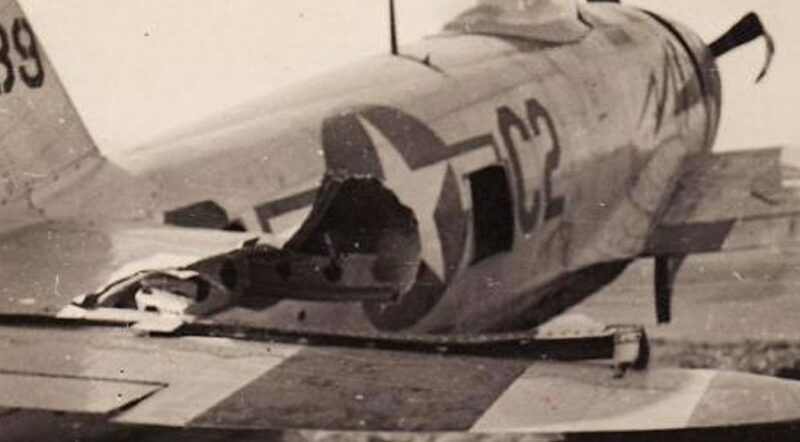 Pilots would count bullet holes in the hundreds, missing control surfaces due to flak or cannon shells, but very rarely would the Jug fall out of the sky. 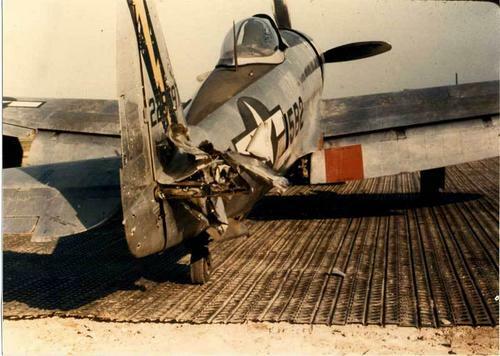 Just look at the amount of damage this airplane could absorb. 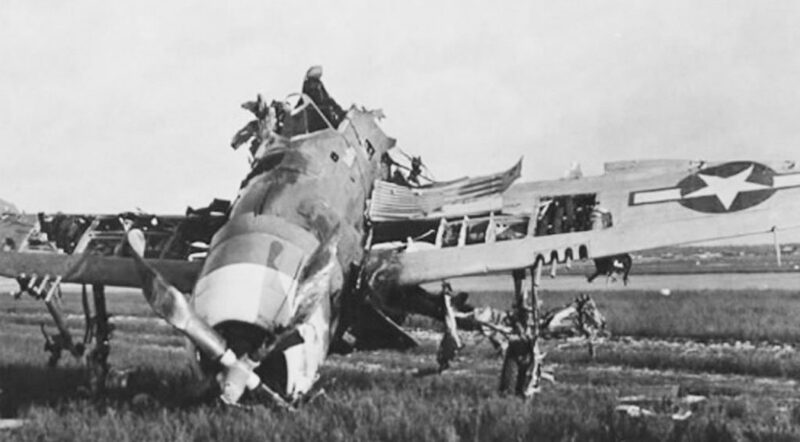 After receiving a hit from flak, the oil tank began to leak. The pilot was able to make it home, despite losing a ton of oil, and not being able to see almost anything. Took a shell through the prop and continued flying. Left elevator shot off in combat, returned home. 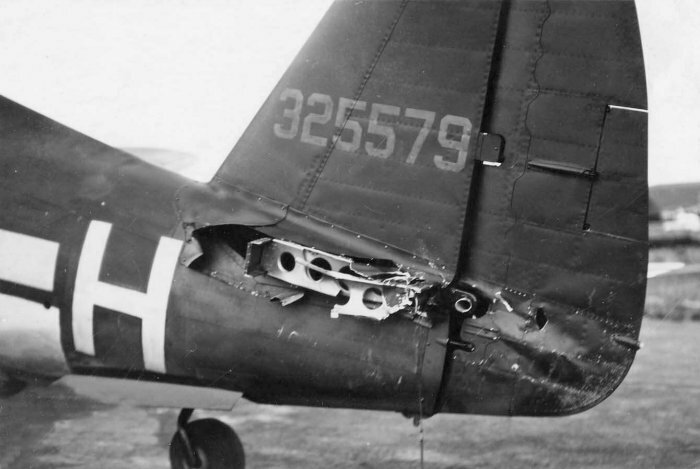 Right horizontal tail severely damaged from flak, made it home. 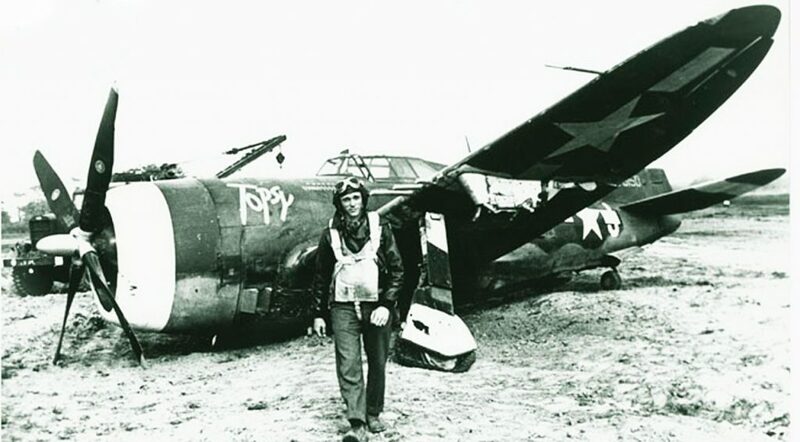 This guy still had ordnance attached to his plane when he landed. 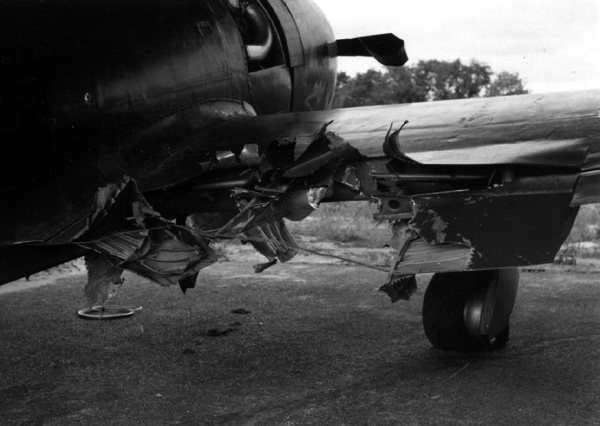 The bomb, detonated causing the damage seen, and the pilot was still inside when this occurred. He walked away. Right elevator lost in combat, made it home. You don’t need flaps, right? This guy hit a damn tree and was able to fly home. 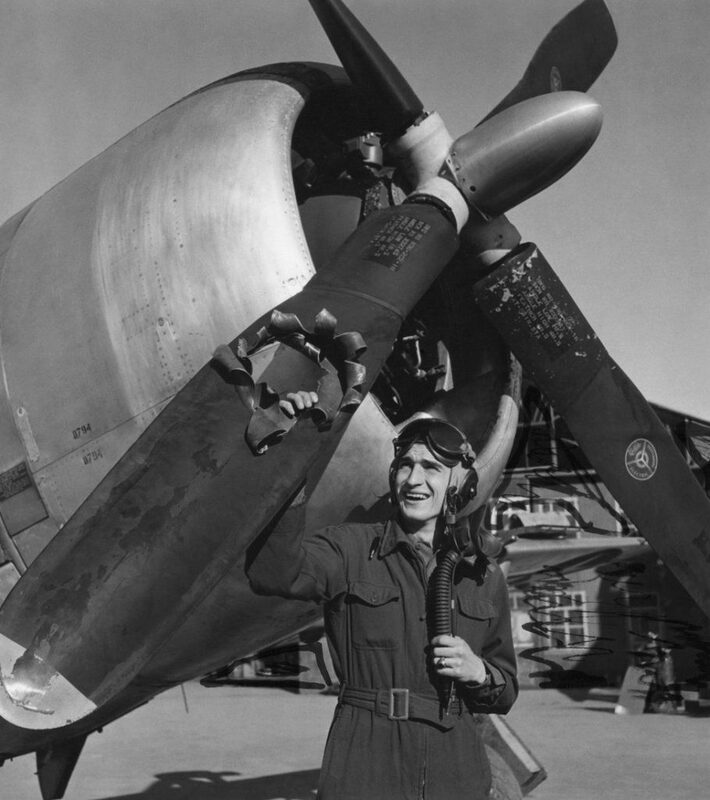 This particular plane was flown by Robert S. Johnson, and was dubbed “Half Pint”. 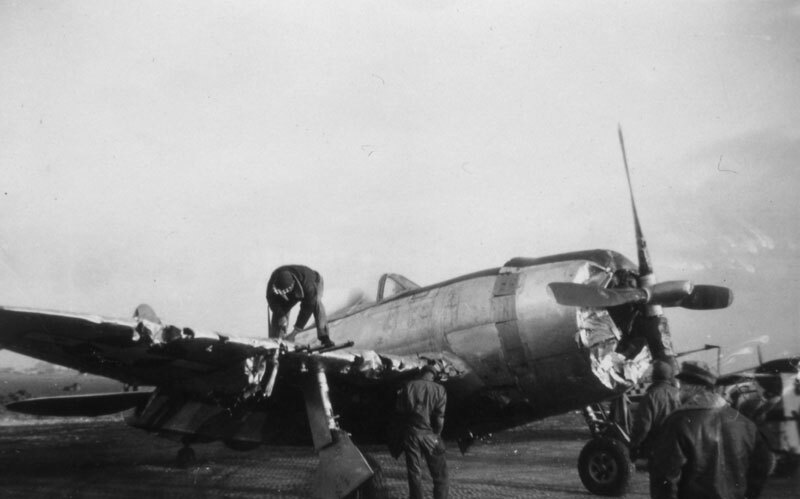 She took the brunt of multiple German aircraft, including the full magazines of a FW-190. 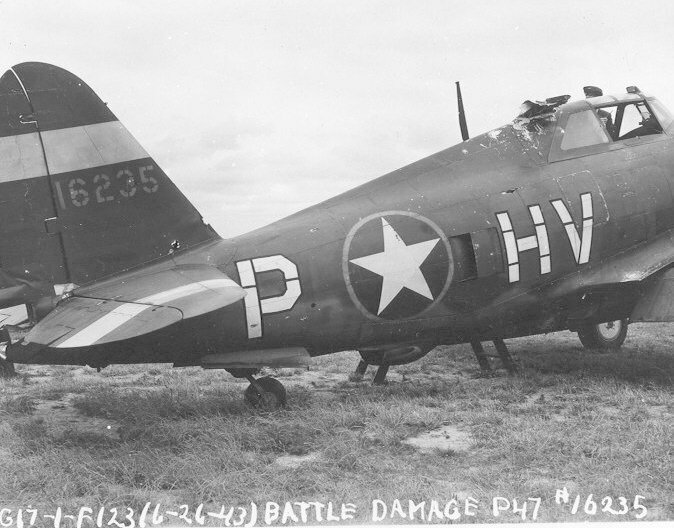 He was able to fly home and had scored 28 aerial victories by the end of the war, all with the P-47. 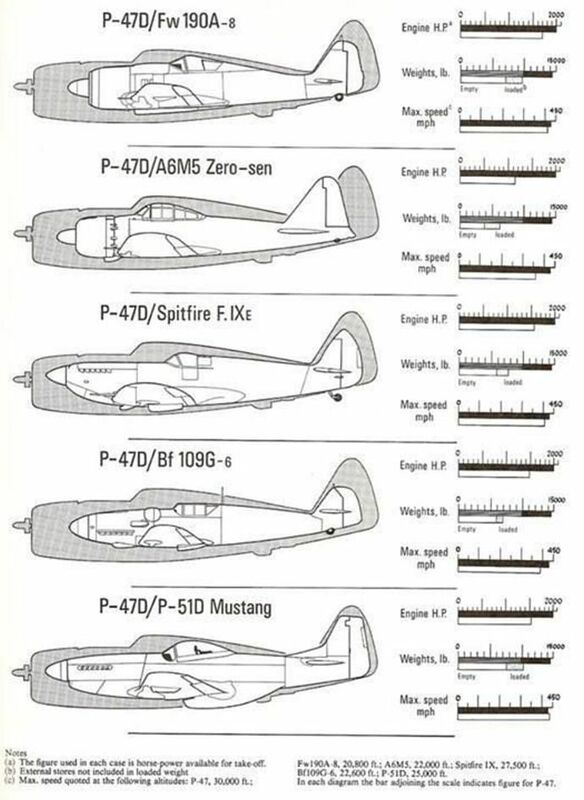 It may have been the fat kid, but it was the most badass airplane of WWII.